Hey, Gang! Not going to be a whole lot with this one but wants to cover a few things. First, Cityscape Tokyo is finally in PRINT! It took some doing, but I am finally able to say you can get a physical copy of my novel now. Cityscape Tokyo follows the adventure of adopted siblings Sho and Kyoko Kimmamoro. The brother and sister are normal bickering siblings living with their guardian Rei. When Kyoko enters the hospital, things are turned on their head when the Yamazaki Medical Corporation enters their lives revealing a dark past and long-buried secrets. The print version is available HERE while the link to the e-book version, as always, is down below! Soon (hopefully) Unconventional will also be coming out in print as well. Stay tuned for that! Also, once again, I’ll be appearing at the AniMaine convention at the Best Western Merry Manor Inn at South Portland, Maine November 11-13. Not only will I be there covering the con for Japanator, but I am running two panels this year, one for writing professionally, and an adult panel (not for the kiddies) on writing adult fiction. Hope to see one of you there! 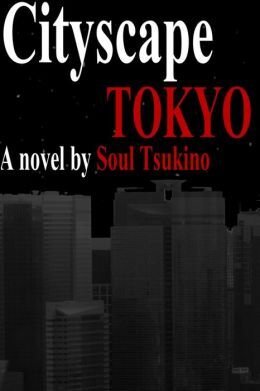 Posted by soultsukino on October 26, 2016 in Soul Tsukino and tagged Cityscape Tokyo, Damn Write, In PRINT!, other stuff, Soul Tsukino.